Jim Wheeler (left) and Geoff Woolley. Jim Wheeler and Geoff Woolley took the honours in the Tudor Springs Foursomes at Greetham Valley and will now go through to represent the club in the big Daily Mail Foursomes competition. The top three teams all scored 69.5 points with last year’s club captain Micky Fish and Ian Cunningham finishing second from Paul Thwaites and Simon Linnell. Annie McCulloch (left) and Sue Brand. The ladies Peugeot Foursomes was won by this year’s ladies captain Annie McCulloch and Sue Brand with 41 points. Second place went to Angela Wheeler and Jo Robinson on 37 points. Milton 6½, Ramsey 1½ (Milton names first): Mike Williamson/Peter Addison beat Mike Robinson/Bill Charlton 4&3; David Norris/Tony Huggins beat Peter Topham/Bryn Fieldhouse 5&4; Mick Mckendrick/Terry Locks beat Roger Tacq/Dereck Gibson 4&3; Steve Moule/Robert Lakin beat John Harris/Peter Ridgeon 5&3; Don McFarlane/Tony Dyer beat Richard Mantle/Terry Warren 4&3; Terry Moon/Peter Parkin lost to Terry Cripps/Phil Murfitt 2&1; Mike Goodall/Tony Wood beat Alan Weston/John Dunham 6&5; Brent Joyce/Alan Purdy halved with Mike King/Chris Bateman. June Medal/Coltman Salver: Division One - 1 Joe Strickett 71-5=66; 2 Neil Thompson 73-5=68; 3 Martin Herson 73-3=70. Division Two - 1 Phil Cullinan 75-9=66; 2 Steven Laud 82-12=70; 3 James Piggott 84-13=71. Division Three - 1 Lee Talbot 82-16=66; 2 Paul Ginty 83-15=68; 3 Alastair Munro 83-14=69. Division Four - 1 Kai Raymond 89-24=65; 2 Euan Herson 91-23=68; 3 Ian Graham 91-19=72. Long and Short Handicap: 1 Elaine Mankelow/Sandra Stout 35pts; 2 Phill Cook/Alison Berry 34pts; 3 Thalia Martin/Jean Cameron 33pts. Weekend Ladies Ping Fourball Betterball: 1 Pauline Levoi/Gill Preston 41pts; 2 Carol Dunn/Georgina Dunn 40pts; 3 Chris Hunt/Angela Boxall 38pts. Weekday Ladies Ping Fourball Betterball: 1 Diahanne Gracey/Jean Cameron 36pts; 2 Joyce Sergeant/Ann Dewhurst 35pts; 3 Christine Patrick/Janet Seconde 32pts. June Medal/Coltman Salver: 1 Jade Roberts 71; 2 Thalia Martin 73; 3 Carol Dunn 73. Club Championship: Gross - 1 Adam Brown 74+70=144; 2 Adam Scott 71+77=148. Net - 1 Adam Brown 71+67=138; 2 Mbachi Nkana 74+65=139. Elton Furze 3, Cambridge Meridian 0 (Elton Furze names only): Jamie Hibbert/Tom Forster won 11 up; Jake Shacklock/Vijay Patel won 4 up; Adam Brown/Mbachi Nkana won 7 up. Club Championship: Gross - 1 Alex Banham 83+80=163; 2 Mel Steel 90+91=181. Net - 1 Barbara Stone 67+73=140; 2 Mel Steel 71+72=143. Strokeplay Competition: Division One - 1 David Rothwell net 67,; 2 Harvey Davenport net 69. Division Two - 1 John Mayho net 75; 2 Myles Coleman net 75; Division Three - 1 Michael Mitchell net 76; 2 Robin Watts net 77. Midweek Medal: Division One - 1 Steve Butler 75-9 = 66; 2 Dep Patel 83-15 = 68; 3 Richie Lloyd 81-12. Division Two - 1 Sean Briant 93-26 = 67; 2 Allan Wilson 93-21 = 72; 3 Mark Weston 91-18 = 73. 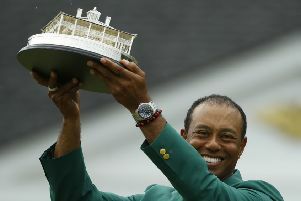 Tiger ERA Trophy: 1 Gary Kew 81-13 = 68; 2 Mick Burch 86-18 = 68; 3 Alan Stokes 87-18 = 69; 4 Jeremy Knight 86-17 = 69; 5 Chris Waller 86-17 = 69; 6 Matt Deegan 76-7 = 69. Jubilee Plate: 1 Pat Bloom net 71; 2 Dianne Willis net 71 ; 3 Cherry Harpham net 71. Tudor Springs Foursomes: 1 Jim Wheeler/Geoff Woolley 69.5; 2 Micky Fish/Ian Cunningham 69.5. Peugeot Foursomes: 1 Annie McCulloch/Sue Brand 41pts; 2 Angela Wheeler/Jo Robinson 37pts. Jubilee Trophy: 1 Ken Upton +2; 2 Jim Storey +2; 3 Greg Harker +1 . Stan Houlden Trophy: 1 Peter Larter 41pts; 2 Nick Lawson 40pts; 3 Richard Foster 40pts. Orton Meadows June Medal: 1 Thomas Whittle net 72; 2 Carson Steptoe net 73. June Medal/Lombard Qualifier: 1 Neil Farrington net 68; 2 Chris Naylor net 68; 3 Andy Mason net 70. P’Boro Golf Repairs Junior Trophy: 1 Garen Uyovbukerhi 38pts ; 2 Daniel Clarke 38pts; 3 Callum Ford 36pts. Peugeot Coronation Foursomes: 1 Vanessa Morris/Ann Hawkins 36pts; 2 Maggie Davey/Karen Martins 35pts; 3 Rebecca Core/Barbara Bird 34pts.